A first in the US and a great new color form of this species for art shade breeding ! 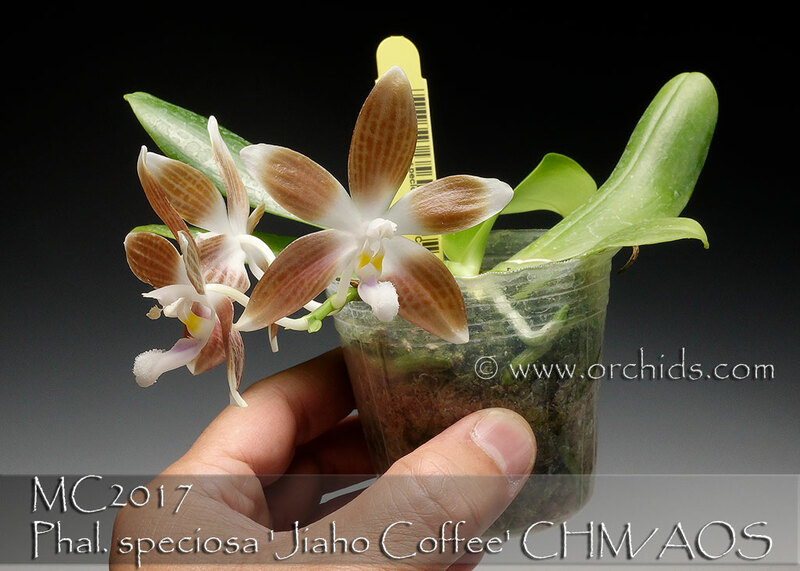 A limited stem prop or keiki from the owner, Jiaho, so you’re assured of getting the exact same plant, not one of the potential copies being offered. 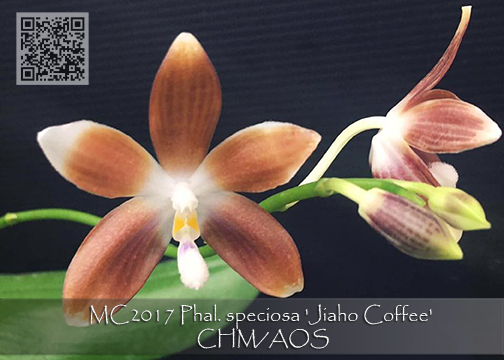 Its richly colored cappuccino flowers are the result of a heavy orange-tan overlay on white, and this strain of the species has great vigor. 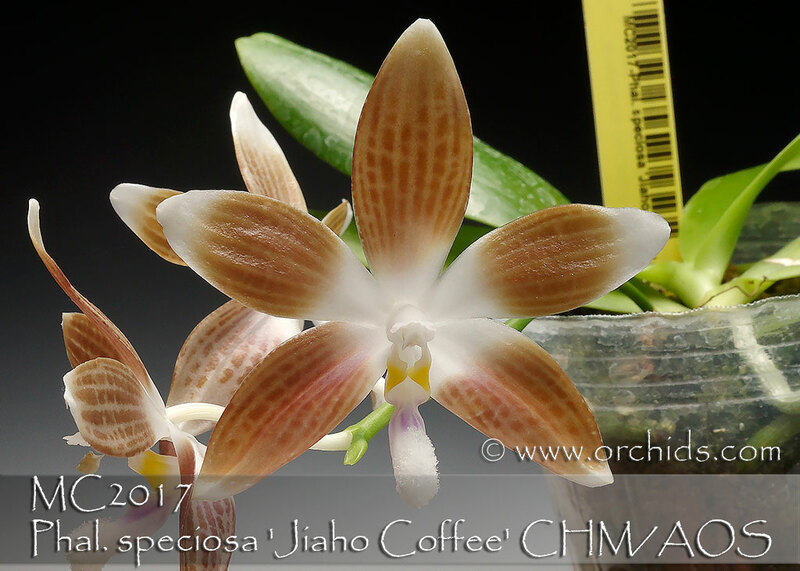 Producing taller spikes than Phal. bellina, its lightly fragrant flowers can continue to be produced on the spike so do not remove spikes that stay green. Very Highly Recommended for its breeding potential and rarity !